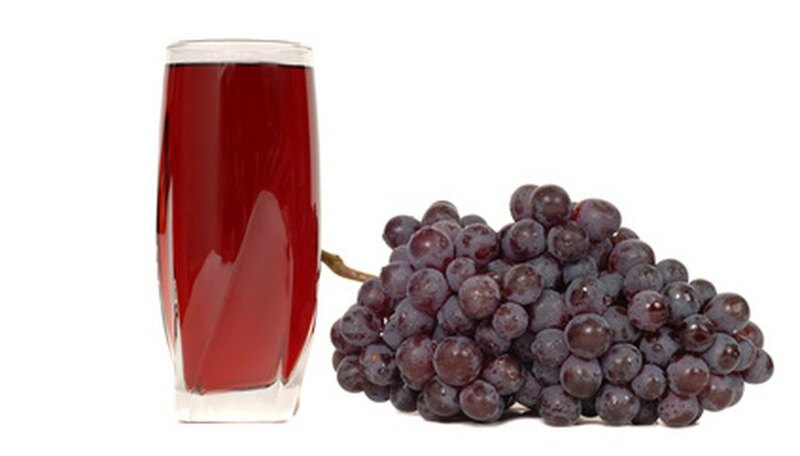 Grape juice has been processed from Concord grapes since the mid-1800s, according to the Concord Grape Association. Concord grapes are native to North America but are mostly used for juice and jams because of the trouble with their seeds and thick skins. When growing Concord grapes, there are some key things you can do to ensure sweeter grapes for your harvest. Grow concord grapes on a southern slope or next to buildings that face south, as they need long warm days to ripen completely. Avoid planting them on low slopes or by the northern side of buildings. Water your concord grapes less than you normally do, because they only need a generous watering about every two weeks during the growing season. Too much water encourages inadequate ripening. Prune the grapevines consistently so they do not tangle or start to droop, which will impede on the ripening process. Prune in early spring. Stake or trellis them and keep them secured high up off the ground. Drag out the harvesting process as late as you can so the concord grapes have as long a ripening process as possible. The longer they are on the vine before cold weather arrives, the sweeter they will be. Once concord grapes are dark purple, let them stay on the vines for another couple of weeks before picking.